Apex Legends – HOW TO GET RARE SKINS ! You want everyone to recognize you as you dominate the Apex Games. 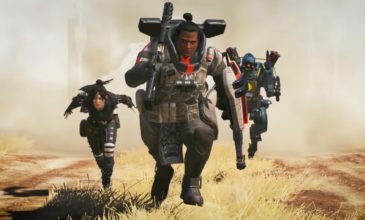 There are tons of cosmetic items in Apex Legends to show off your personal style. Take a look at how you can customize your Legend and stand out in the arena. 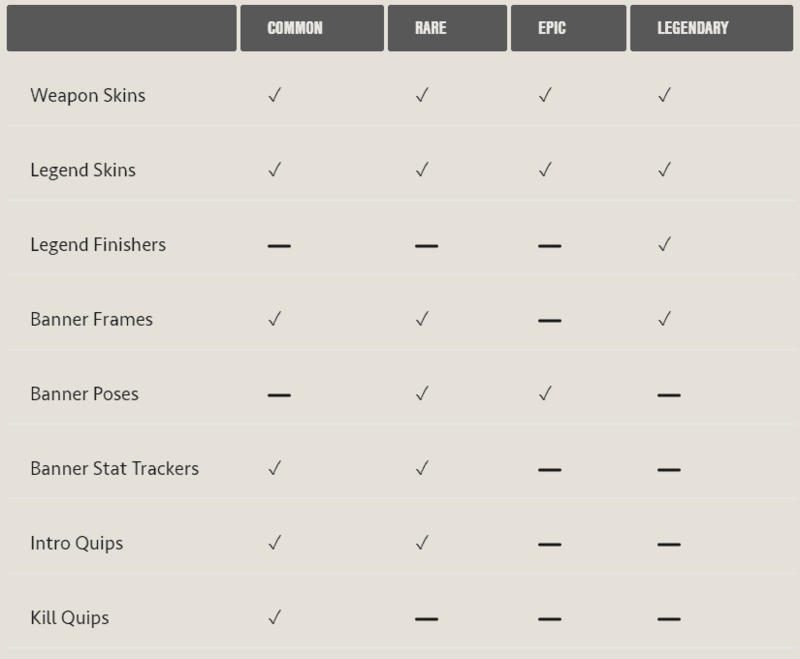 There are eight different kinds of cosmetics in Apex Legends and four different rarity tiers. Apex Packs are packs of three items that can contain any combination of cosmetic items and crafting currency. Cosmetic items can be from one of the eight categories above. Apex Packs will never include any items that offer a gameplay advantage. You can earn Apex Packs by leveling up your Player Level or by purchasing Apex Packs with premium currency (Apex Coins). The Rotating Shop lets you unlock specific cosmetics and characters with premium currency called Apex Coins. Additionally, the Rotating Shop lets you use grind currency (Legend Tokens)to unlock exclusive recolor versions of legendary skins, assuming you own the prerequisite item. Items in the Rotating Shop change periodically, so check back regularly. The Season 1 Battle Pass, which can be purchased with Apex Coins, allows players to unlock tons of exclusive seasonal content and Apex Packs through gameplay. Check back soon for more information.